Premier Medical Group Laboratory is accredited by the Clinical Laboratory Improvement Act (CLIA). We provide a wide range of laboratory testing. Our desire is to offer a quick, efficient and pleasant patient experience. At the same time, the lab results provide valuable information to our providers that is vital to your plan of care. 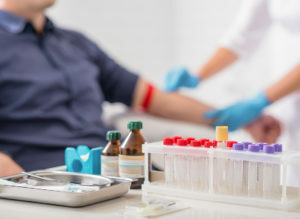 Premier’s Lab is staffed by professionally trained phlebotomists, certified Medical Laboratory Technicians and Clinical Laboratory Scientists.